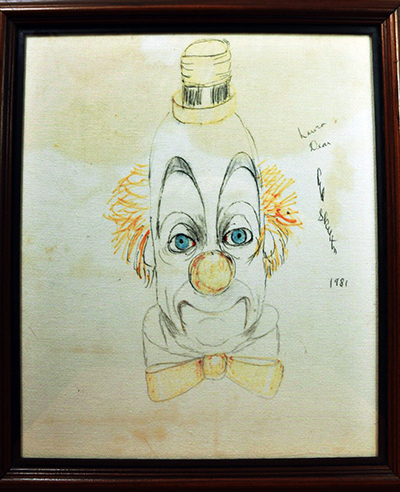 “The Grapes of Red” is a unique, original, one-of-a-kind drawing on linen, hand signed by the artist Red Skelton. The linen is a rare portrait of a beautiful clown with grapes adorning her yellow hat. She also is holding grapes in her hand. A magnificent and colorful work of art. 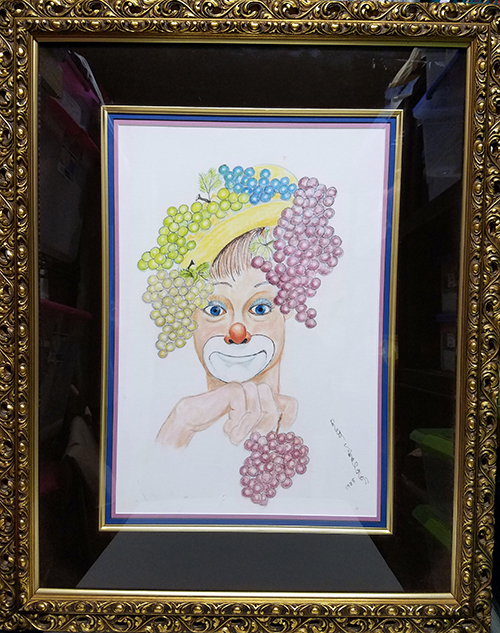 This unique artwork, "The Grapes of Red" on linen measures approximately 20” x 13.5” and is in a custom museum quality frame measuring approximately 31 3/4" x 25 3/8".